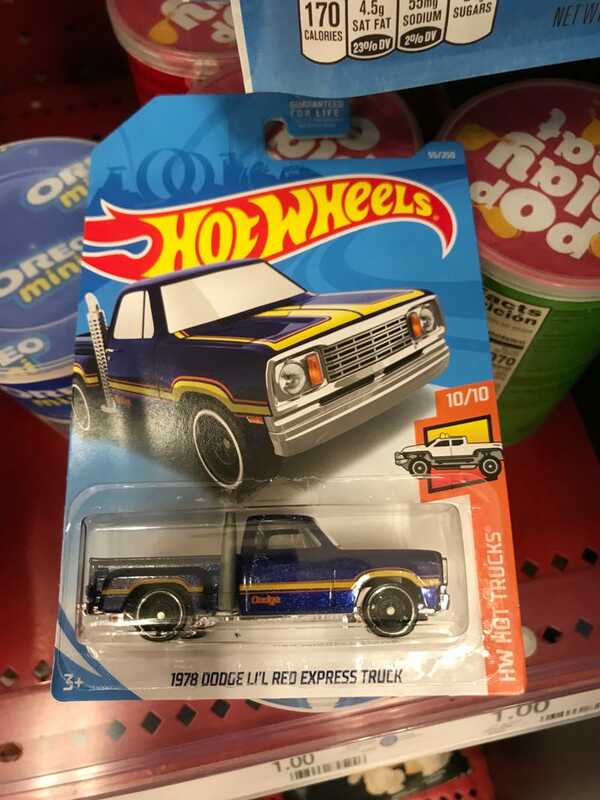 Cruising Target recently and spotted this sweet little Hot Wheels Dodge. I love the retro-ish super-metallic paint and stripe, not to mention the stacks. Then I noticed the name. Interesting they didn’t change it for this release. Mistake? eBay and Google tell me it’s not. Rather, it just seems to be laziness. Cool truck, though. Needs Real Riders.